When it comes to Bluetooth headsets, the consumers are divided between people who say that they are a great option, and the people who say they are not as good. The reason why Bluetooth headsets are not considered top of the line are because according to a lot of people, there are some really great chances of latency issues. However, thanks to the modern technology, the latency issue has been addressed, and now, Bluetooth headsets are on the rise. So much that a lot of people actually prefer them over the wired headsets mainly because the amount of flexibility and features such as active noise-cancellation. With that said, if you are in the market looking for a good Bluetooth headset, you may get confused due to how saturated the market is. Literally every other brand is currently pushing out their noise cancelling headsets and while it is certainly a good thing, and average consumer usually ends up getting confused among the masses. But don’t worry, if you are someone who is going through the same issue, we have a solution, to address the confusion, we have narrowed down some of the best Bluetooth headset 2019 that you can buy right now. The list caters to pretty much every consumer who is out in the market right now, and offers you a lot of options to choose from. So, if you are one of the many who are facing the same issue, simply relax and go through the list, surely, you will find an option that suits you the best. So, without further ado, let’s take a look at our list of the best Bluetooth headsets you can buy right now. 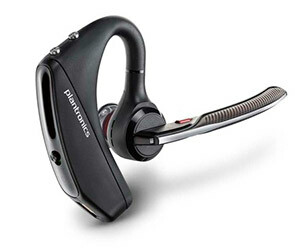 The first one on our list is the Plantronics Voyager 5200-UC, now when it comes to Bluetooth headsets, Plantronics is one of the finest names in the market, however, you should know that the Voyager 5200-UC is a single piece headset and is not built for music. It is built for people who want unprecedented quality when they are receiving calls, or calling someone. So, without further ado, let’s get down to the business. 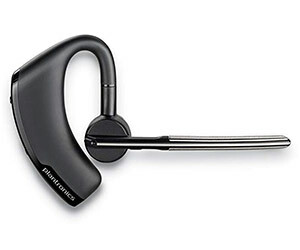 Without a doubt, the Plantronics Voyager 5200-UC is definitely a headset made for professionals, it is one of the best looking wireless headsets in the market, however, we all know that looks are only subjective. If you are wondering about just how good the performance is, then we are going to take you through that as well. The performance on the Plantronics Voyager is one of the best we have seen on any wireless headset, the headset is powerful, delivers fantastic audio quality, clarity, feels really good on the ear, and doesn’t have the habit of falling off like a lot of other headsets. But that’s not all, considering how it’s Plantronics we are dealing with, there are some nice bells and whistles like some really nifty voice commands, a really good noise cancellation, and the ability to wear the headset on either right, or the left ear. While the upgraded Voyager are certainly good, a lot of people complained about the headset being a little uncomfortable, but then again, that’s completely subjective, and shouldn’t come in the way of the headset being amazing. The next product on our list is again from someone who is known for creating world class Bluetooth headsets, and this time, it’s Jabra. 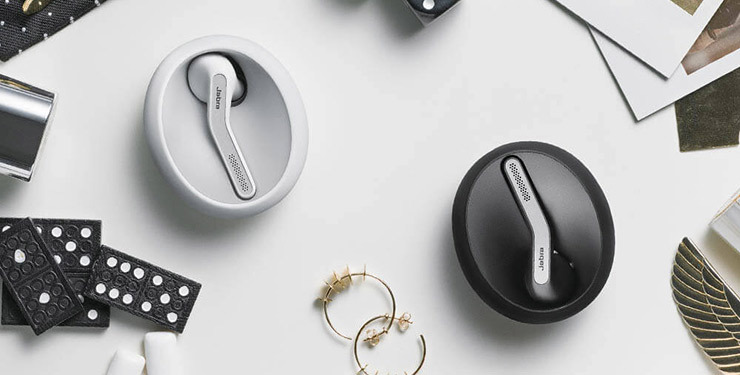 The company’s foray into the Bluetooth headset was a success and they released one after another product to make sure that their customer base always keeps getting the best products that are being offered. 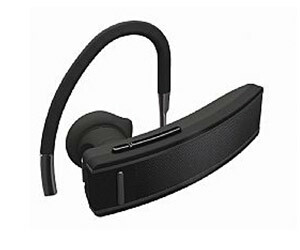 Today, we are looking the Jabra Eclipse, and in all honesty, it’s a pretty good Bluetooth headset but just how good? Let’s find out. From the looks of it, the Jabra Eclipse looks like a cute little Bluetooth headset that can harm no one or doesn’t have enough merit to stand against the big guys, however, don’t let the looks deceive you, under the hood, the Jabra Eclipse happens to be one of the most powerful Bluetooth headsets in the market, it comes with one of the best voice quality as well as clarity, and another great thing about this is that it the carrying case you get with your Jabra Eclipse also acts as a backup battery. 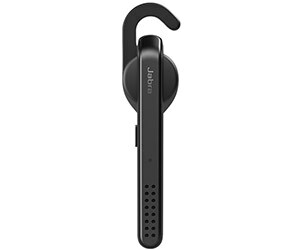 Overall, the Jabra Eclipse is a pretty solid Bluetooth headset, however, even this amazing piece of tech has some drawbacks; for instance, in our testing we found out that the headset severely suffers from range, and if the phone is a bit at distance, you are going to have some serious connectivity options. Perhaps that is the only reason why Jabra Eclipse isn’t the best Bluetooth headset in the market. 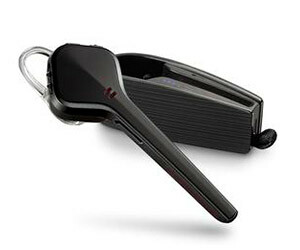 We have another Plantronics headset on our list to review, and unsurprisingly, it also belongs to the Voyager family. Say hello to the much loved Plantronics Voyager Legend; this attractive headset is one of the best ones we have had the pleasure to use, and today, we are going to take you through the review, and all the reasons it happens to be one of the most beloved Bluetooth headsets in the market. So, without further ado, let’s take a look at Plantronics Voyager Legend. Perhaps one of the greatest things about the Plantronics Voyager Legend is the fact that it’s way lighter, and way more comfortable than the predecessors, and even a lot of Bluetooth headsets that are in the same range. The good thing about Plantronics Voyager Legend is that apart from the good looks, feels, and ergonomics, you also get a really amazing call quality, as well as clarity that can be easily considered as one of the best ones we have heard in any Bluetooth headset. With so much to offer, the only point where we felt that the Voyager Legend fell short was when it came to providing a good seal to keep the noise cancellation solid, other than this small issue, the Plantronics Voyager Legend is easily one of the best Bluetooth headsets we have used. Cnet Says: Lighter and less bulky than other boom-style headsets, the Plantronics Voyager Legend has superb audio quality and a well-crafted, comfortable design. The next headset we are looking at is from another renowned brand when it comes to wireless/Bluetooth headsets, and generally top notch audio products; if you haven’t guessed it by now, you should know that we are talking about Jawbone, and the product we are looking at today is their famous Era. The version we are looking at today is of course the updated version that comes with some additional bells and whistles as compared to the original Jawbone Era. So, without wasting anymore time, let’s get down to business. 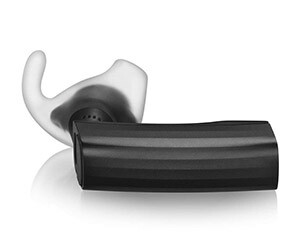 First look at the Jawbone Era and you would ask yourself about how that is even possible, seriously, it is one of the smallest looking Bluetooth headsets, and luckily, the size doesn’t hold it back from performing like a champion. It’s not just good in performance, it also feels good when you’re wearing it, mainly because of the slim and small profile it has. The headset also comes with a pretty amazing noise cancellation features, and the sound quality is one of the best we have heard, as few bells and whistles, Jawbone has added a mobile app that features a neat list of features to keep you occupied. With a long list of features, one may wonder if there is something wrong with the Jawbone Era, well, there isn’t any deal breaker here, apart from one small thing that may bother heavy users; the battery timing isn’t as good, but considering how small the headset is, it’s understandable. If you are wondering why there are so any products from Jabra, Jawbone, or Plantronics in our list, it’s mainly because the market is pretty dominated by these 3 companies, and for good reason. They are one of the best brands out there in the market when it comes to audio equipment. 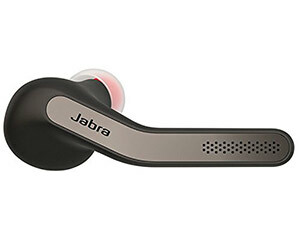 Their next offering is known as the Jabra Style, and as the name suggests, it is especially built for people who prefer a little style along with a lot of substance. So, without further ado, let’s take a look at the Jabra Style. The Jabra Style is a minimal looking, single piece Bluetooth headset; it is by no mean as small as some of the other ones we have seen, but still manages to look and feel really good. Starting right off the bat, a lot of people would be concerned about just how good the audio quality is, well you should know that the audio quality is good enough that you can enjoy music on it without breaking a sweat. That’s not all, the battery life on the Jabra Style is really impressive, especially when you consider the design as well as the price you are paying for it. With all good things aside, there are some downsides as well; the ear hook on the headset starts getting uncomfortable after long usage, and the headset doesn’t come with any volume buttons which is a shame because that is something of a standard in the modern Bluetooth headset. 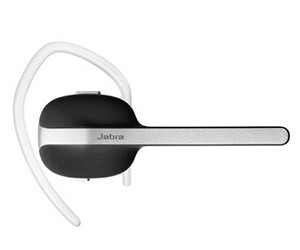 Still, no hard feelings for the Jabra Style is one of the best Bluetooth headsets we have had the chance to use. We have another Plantronics product on our list, and this time, we are looking at the Plantronics Voyager Edge, and as the name suggests, it does belong to the famous Voyager series, but is it as good as its other comrades? Well, we can certainly say that whether or not Voyager Edge is competing against other Voyager headsets, it has enough of the good stuff to stand out on its own; let’s find out why this is one of our favourite. For starters, the Bluetooth headset is extremely lightweight, and apart from being lightweight, it fits in your ears rather quickly, and allows you to wear them for longer durations, possibly the entire day without feeling any level of hindrance. Moving on to the performance, the Voyager Edge is one of the best performers we have tested; the noise cancellation is on par with some of the finest Bluetooth headsets we have tested, and the call quality is as clear as things can get. The Voyager Edge also comes with a really good carrying case that doubles up as a charger on the go. All in all, the Plantronics Voyager Edge is a suberb Bluetooth headset and we don’t really have any complaints to begin with. We are back with another special product by Jawbone, this time, it’s the Jawbone Icon HD, a Bluetooth headset that is part of Jawbone’s The Nerd Bundle. Without any doubt, this is one of the most stylish looking Bluetooth headsets we have seen on the list; it is small, compact, and certainly looks good without being over the top flashy. So, without further ado, let us take a look at the Jawbone Icon HD, and see why it is one our favourite Bluetooth headsets. The good thing about the Jawbone Icon HD is that it lets you connect to PC or Mac without any hassle, which means you won’t have to go through the tedious process of pairing the device every time you need to connect; the Jawbone Icon HD comes with some really neat features that includes full support for A2DP multi-point connectivity, a high definition speaker, voice announcements, and last but not the least, buttons for controlling your music as well as the communication. With so many good things to offer, our only issue with the otherwise amazing Jawbone Icon HD is that the only way you can get this is if you buy Jawbone’s The Nerd Bundle, something that is quite pricier at this time. The next up on our list is another Jabra headset aptly named Jabra Stealth, the reason why it is called Jabra Stealth is basically the surprisingly small footprint, however, that didn’t make the headset any stealthy, however, there are a lot of features packed into a neat looking device that also offers some aggressive red accents. However, we all know looks are only here to tell half the story; just how good is the Jabra Stealth? Let’s go ahead and find out. Jabra Stealth comes with a dedicate voice button, and that button allows you to have full control over Google Now as well as Apple’s Siri, this is something we have long yearned to see in a Bluetooth headset, in addition to that, the Stealth offers a lightweight but durable construction that is comfortable to wear, and doesn’t have any issues with the noise cancellation as well. All in all, the Jabra Stealth is not stealthy thanks to how it is designed, but we can’t really blame the device for how it looks when it happens to be such a good performer. Let’s take things on a different route now, we have seen a plethora of devices from Jabra, and Plantronics in the list, and this time, we are looking at something known as BlueAnt Q2; it is one of the slimmest, better looking Bluetooth headsets that is made for people who want to be discrete about having a Bluetooth on their ear. So, without further ado, let’s have a look at the BlueAnt Q2. From the looks as well as the price of the BlueAnt Q2, it seems like a Bluetooth headset that doesn’t offer much, however, don’t let its tiny size fool you; as it is one of the best Bluetooth headsets you can buy right now, and there are more than one reasons for that. For starters, the audio quality is spectacular, and the comfort level is one of the finest we have tested. In addition to that, the headset comes with support for A2DP streaming, as well as multi-point connectivity. For your convenience, there are physical buttons present as well, and albeit they are bit smaller than you’d normally want them to be, but they are still really good when it comes to getting the job done. 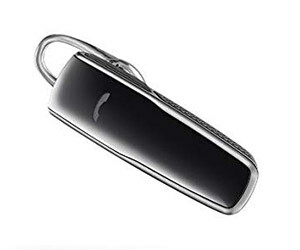 The last one the list happens to be another Plantronics product named the Plantronics M55; apart from being small, and compact, this also happens to be one of the most affordable Bluetooth headset. Sure, it may not give you the same bells and whistles that are provided by the other options in the list, but considering what you are paying for, it’s pretty understandable, and we won’t be deducting any points based on the price of the Plantronics M55. So, without wasting anymore time, let’s take a look at just how good the Plantronics M55 is. The M55 is a comparatively small, and quite attractive when it comes to the design, something that should be a positive point for the design. Apart from that, considering the price you are paying for this, the M55 is a rather powerful Bluetooth headset with features that will make the budget oriented people want to spend on it. The headset also supports vocal command as well as the basic voice prompts, and last but not the least, Plantronics has put a deep sleep function in the headset that helps it preserve battery when not in used. Although the Plantronics M55 doesn’t come with a lot of features, it sure as hell has enough to make it a really good basic Bluetooth headset. The market is filled with all sorts of good quality Bluetooth headsets, and while having a versatility is certainly a good thing, it often confuses the average consumer. With that said and out of the way, this list is here in order to help you get the most out of your money, and choose the best Bluetooth headset in the market.